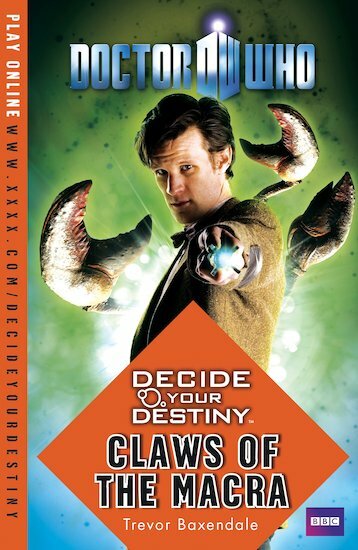 Join floppy-fringed Matt Smith in the TARDIS for an adventure where YOUR decisions count! Danger and excitement await you on a school trip to a gas refinery infested by giant crustaceans. Only you can help the Doctor and Amy to outwit the Macra and save Planet Earth! Become the latest companion to the Eleventh Doctor on his travels through time and space, in a story where YOU make the decisions. Take the controls in the TARDIS, choose a direction, and let the excitement begin! Obviously I like Doctor Who and the books and this was AWESOME!